Prince William and Duchess Catherine of Cambridge are expecting their third child in April 2018, it has been confirmed. 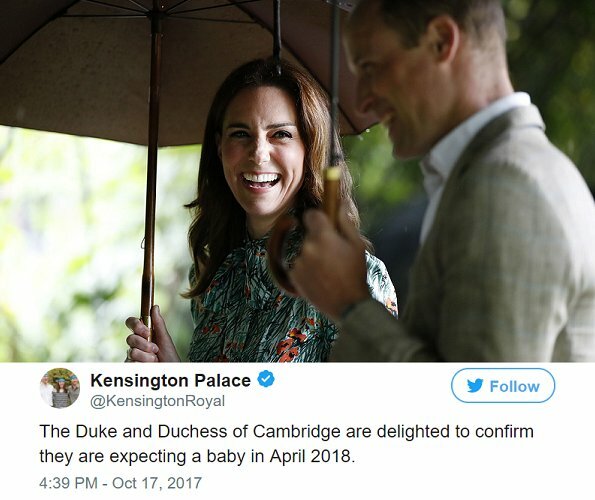 A statement issued by Kensington Palace said: "The Duke and Duchess of Cambridge are delighted to confirm they are expecting a baby in April 2018." When the new baby is born, he or she will become the fifth in line to the throne, after their siblings Prince George, 4, and Princess Charlotte, 2.